It’s been a long time since I’ve written here. The past months have been filled with moving back to the States from Vietnam, becoming a first-time father, and starting a digital marketing consultancy. With all that and more on my plate blogging took a back seat. During that time I never stopped consuming information from my favorite blogs. So here’s my list of 8 blogs every man should read. My personal favorite watch blog, Worn & Wound showcases vintage watches as well as new models. I’ve been lost on this site longer than a teenage girl gets lost browsing Facebook. 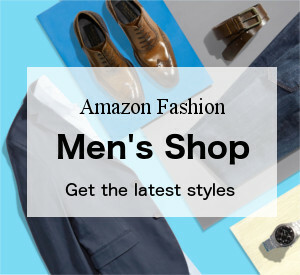 In addition to a ton of awesome information they also have a terrific shop with items ranging from watch tools to high-quality leather watch bands. I take their watch tool with me whenever I travel. It’s the only one I’ve found that comes with a screw on cap – a necessity for traveling as the prongs on watch tools are sharp and not well-suited for packing with your other belongings. If you’re into shaving with a double edge razor or use a straight razor for more than self-protection then Sharpologist is the blog for you. Despite my tendency to collect things I don’t (yet) have a large collection of razors. I do admire them for their beauty and function which is why I can never get enough of this blog. Shaving with an old-school razor also beats the heck out of shaving with crappy razors that cost a small fortune overtime. Life is full of double-edged swords – so practicing every morning with a double edge razor can’t be bad, right? If you’re not in AA and don’t appreciate a good beer then hit the back button – you’re in the wrong place! Despite strong protests from my liver there aren’t many things that can beat enjoying a cold beer with the boys. 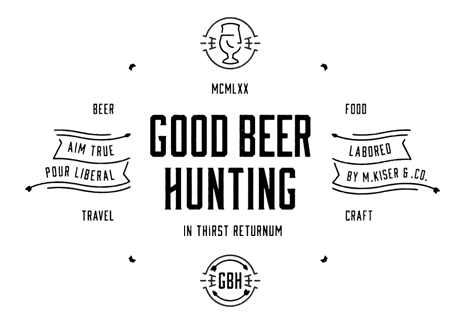 Over at Good Beer Hunting they live, breath, and I imagine piss craft beer. If that last sentence doesn’t make you thirsty I don’t know what will. Check out their craft beer blog or buy some cool stuff in the shop. While I can’t claim to own a pair of shoes over $200 dollars I do admire a nice pair (of shoes and other things). What I admire even more is Justin’s story. I’ll let you read that for yourself. The short version is he found his passion, started a blog, and pursued his dreams. The results of which are J. FitzPatrick Footwear. Ok, so it’s not a blog. In fact The Straight Dope has been around way before the idea of blogging was ever conceived. A long-running column that’s been “fighting ignorance since 1973” is full of interesting information. Read this once a week and soon no-one will be trying to place a dunce cap on your head. The Godfather of men’s style blogs, A Continuous Lean, continues to impress. From factory tours where not many others could gain access to the ever famous The American List this blog offers something for just about everyone. StyleForum isn’t a blog, however it gains a place on this list because I consult it all the time for one reason or another and I hope you will find it just as useful. The site is a community of likeminded individuals with the uniform goal of improving their personal style (and a little showing off too). It’s also a great place to find deals on high-end clothing. You thought I’d finish strong with a style blog? You were wrong. Every gentleman should learn to be thrifty and master personal finance. Get Rich Slowly is packed with solid advice on building your next egg over time. And that’s my list of 8 blogs every man should read, not counting this men’s style blog.